She felt like taking a bath because she had become dirty, so Parvati, goddess of knowledge, creation and the celebratory aspects of life, told her son whom she created out of the dirt to guard her as she bathed in the river. "Don't let anyone come by" she told him and preceded to wash herself. After a short while Shiva came and the boy tried to stop him. Shiva, indignant that someone would try to deny him something, chopped off the boy's head. Parvati finished with her bath and aware of what happened, told Shiva "THAT YOU JUST CUT OUR SON'S HEAD OFF". Can you image accidentally killing your son? Shiva being the supreme God wasn't worried, he told his assistants to get him a head that was facing the north. They came back with an elephant's head and Shiva then brought the boy back to life in the form of Ganesha also known as Ghanapati. Ganesha is a popular Hindu god and is revered for his intellect ,wisdom and as the remover of obstacles. He is the owner of the gateways, cosmically, spiritually and physically. He lives between two different worlds and is said to be the owner of anyone who has an animal nature and human nature. He is similar to the Yoruban deity Esu, owner of gateways and who also removes obstacles. Ganesh was created from the dirt and dirt represent the blockages of life and ignorance. Shiva, his father, represents virtue, peace, data and innocence. When he cut off the boy's head what he saw was pure ignorance that needed to be removed. Shiva is also knowledge and gives the boy an elephant's head and this represent wisdom and knowledge. The elephant doesn't really have obstacles. It will swat a lion away, crush a car and pick up trees as if they are nothing but lightweight nuisances. 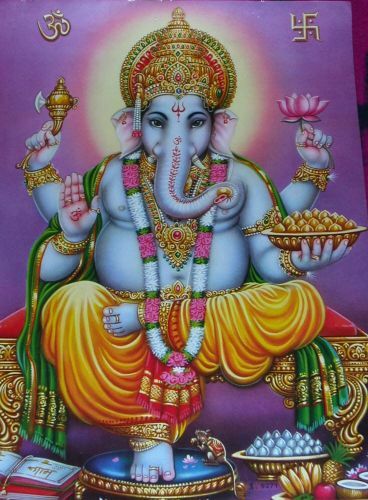 Therefore Ganesha also signifies how easily he can remove obstacles. 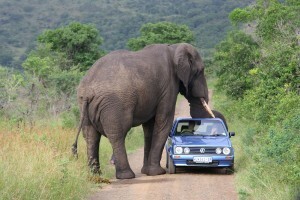 The elephant's trunk is extremely strong and dexterous. It can pick up a tiny peanut without breaking it just as easily it can move a boulder. This represents that Ganesha can remove small obstacles or large one and the the power of gross movements. Another symbol of Ganesh is his big round belly. This represents the universe where the balance of negative and positive. If you want to remove the obstacles in your life and be the lord of your own being, you must accept and process the negative and positive polarities in life. It also speaks to being able to go through anything and still keep moving forward. There is never an obstacle to great or small for you to remove. It is all a matter of your mind and how you control your thoughts. Invoking the Ganesha, Esu, Christ inside of you will help you to do the seemingly impossible-- even if it means that you will have to die and be reborn with a new head.